We took a 7:00 am flight to New York Friday morning, leaving today on a noon flight. Not much to report, since mostly we were visiting and eating with family. But let me say a bit about our visit to the Met. First, a word about our arrival. The flight into JFK was pleasant enough. Our first trip highlight was arriving in the new Delta home in Terminal 4. One of the wonders of Kennedy for years has been just what a dump Delta’s Terminals 2 and 3 have been. To think that Terminal 3 was intended to be a glory of air travel, when Pan Am opened it and ushered it a new era of international travel with its new 747s. It was a wonder all right. The baggage claim area was the biggest pit imaginable. As for Delta’s new quarters in Terminal 4, our main impression as arrivees was that we sure had to walk a lot. I haven’t walked so far since the last time we changed planes in Heathrow. It took forever to get to the main terminal. Then we had to walk to the far end to get to baggage claim. Which wasn’t a pit at all, but it didn’t help that of the two carousels, one said Seattle while our bags came in on the other. Saturday afternoon we left my parents and headed into the Met. Two current exhibitions that interested us were closing today, so we were fortunate to get to see them: Photography and the American Civil War, and The Civil War and American Art. I can’t share photos, since none were allowed, but you can see plenty of highlights at the websites for the exhibitions. More than two hundred of the finest and most poignant photographs of the American Civil War have been brought together for this landmark exhibition. Through examples drawn from the Metropolitan’s celebrated holdings of this material, complemented by important loans from public and private collections, the exhibition examines the evolving role of the camera during the nation’s bloodiest war. This major loan exhibition considers how American artists responded to the Civil War and its aftermath. Landscapes and genre scenes—more than traditional history paintings—captured the war’s impact on the American psyche. The works of art on display trace the trajectory of the conflict and express the intense emotions that it provoked: unease as war became inevitable, optimism that a single battle might end the struggle, growing realization that fighting would be prolonged, enthusiasm and worries alike surrounding emancipation, and concerns about how to reunify the nation after a period of grievous division. The exhibition proposes significant new readings of many familiar masterworks—some sixty paintings and eighteen photographs created between 1852 and 1877—including outstanding landscapes by Frederic E. Church and Sanford R. Gifford, paintings of life on the battlefront and the home front by Winslow Homer and Eastman Johnson, and photographs by Timothy H. O’Sullivan and George N. Barnard. 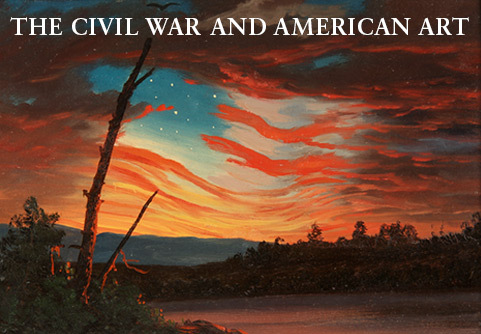 The exhibition at the Metropolitan coincides with the 150th anniversary of the Battle of Gettysburg (July 1–3, 1863). Frederic Edwin Church (American, 1826–1900). Our Banner in the Sky (detail), 1861. 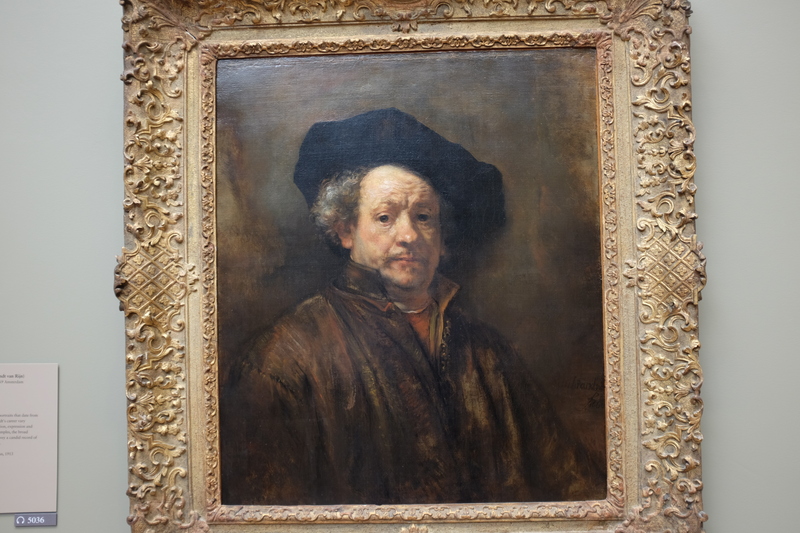 Three months ago, the Met opened a new installation of their European paintings. The Met’s world-renowned collection of European Old Master paintings from the thirteenth through the early nineteenth century have reopened after an extensive renovation and reinstallation. This is the first major renovation of the galleries since 1951 and the first overall reinstallation of the collection since 1972. Increased in size by almost one-third, the space now accommodates the display of more than seven hundred paintings in forty-five galleries, including one rotating special exhibition gallery. When a monument wakes up, you notice. 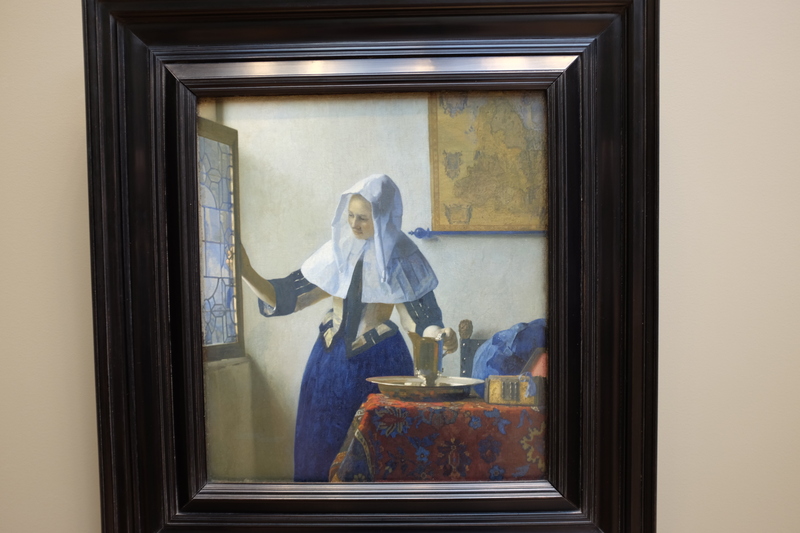 It’s been more than 40 years since the Metropolitan Museum of Art rethought what many considered its raison d’être, its galleries of European paintings. The last reinstallation was in 1972 and encompassed a chronological span from Giotto to Picasso. Later, 19th- and 20th-century art was cut loose and sent elsewhere. The rest of the European collection, by then huge, easily could have filled the freed-up space. But the Met decided to reserve the emptied galleries for blockbuster shows. So five centuries of old master painting stayed where it was and fell into a doze. Now comes a change. The blockbuster spaces have been given back to the collection, and all 45 European painting galleries cosmetically overhauled: new floors, fresh paint, walls put up or brought down, etc. For the first time that I can remember, pictures really have room to breathe. And there are many more of them. A few months ago 450 paintings were on view; now there are more than 700. We are not talking revolution. Visitors familiar with the holdings will see a lot of what they already know, but encounter old faces in new places, which can produce revelations. There are novelties: items either new, out of sight for decades or just never shown. Best of all, some top-shelf private loans have been integrated, for a limited time, into the galleries in celebration of the reopening. Most important, the geography of the galleries has been recalibrated. The old arrangement was eccentric. To get from Jan van Eyck in 15th-century Bruges to Rembrandt in 17th-century Amsterdam you had to go through Italy. Italy itself was all over the map. 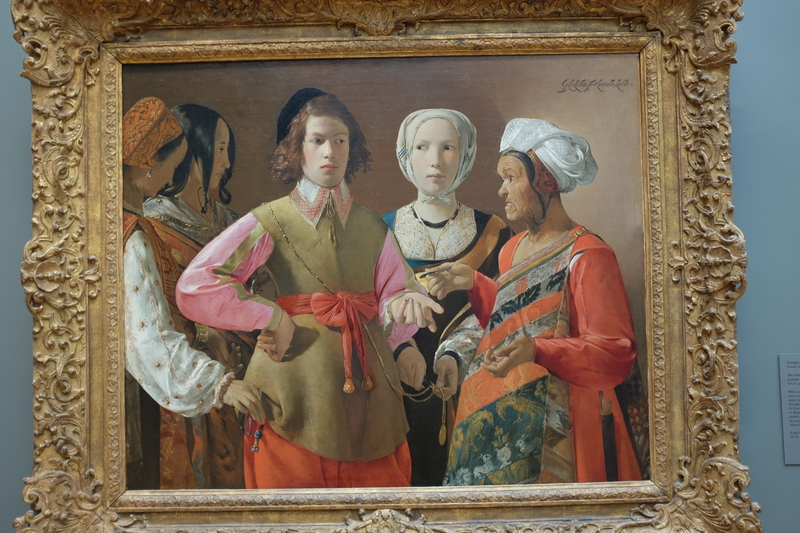 Judging from their Met locations, you might have thought that Caravaggio and Tiepolo came from opposite ends of Europe. To trace a coherent historical path, audio guides were useless; you needed GPS. No more. 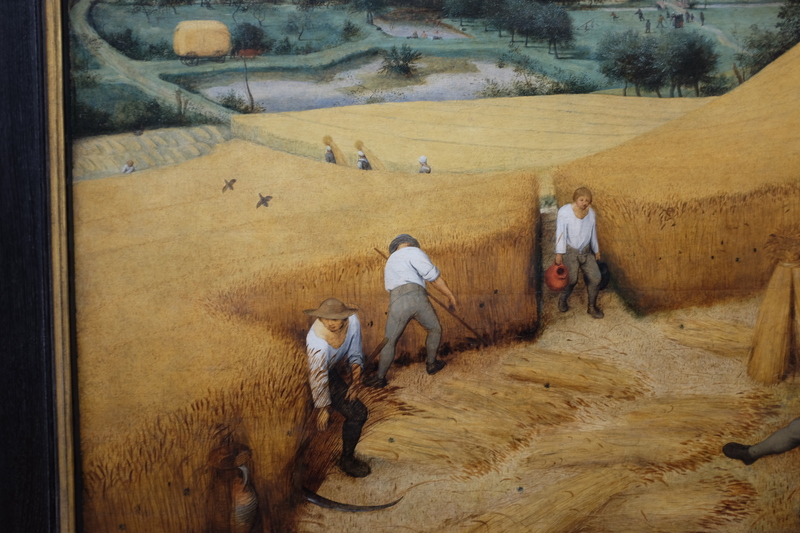 Now painting from northern Europe, excluding France, is laid out by date in the regained galleries. Italian painting is consolidated in a two-pronged format, with early work from Florence and Siena running in parallel streams that flow into Titian’s Venice. France is now unitary, as is Spain (Goya used to be stuck out in nowheresville), and all national blocs are broken up by thematic displays. The keen-eyed may note a Met obsession with framing. The subject is hot these days, as is the market. Vintage examples cost a mint, and the Met is getting its share. Finally, certain much-loved pictures have returned to view with a spa-toned glow, thanks to the tender mercies of conservation. But what makes the reinstallation most stimulating is a subtle feature, what you might call a curator’s secret weapon: the power of placement. Keith Christiansen, chairman of the European paintings department, has brilliantly orchestrated the collection as a play of dramatic vistas, visual lineups of images — seen around corners or over distances — that pull you forward in time and immerse you in textured layers of European culture. With the 1929 bequest of Mrs. H. O. Havemeyer, the Metropolitan Museum acquired its first pastels—about twenty nineteenth-century works by Mary Cassatt, Edgar Degas, and Édouard Manet. For forty years, they were shown with our European and American paintings. 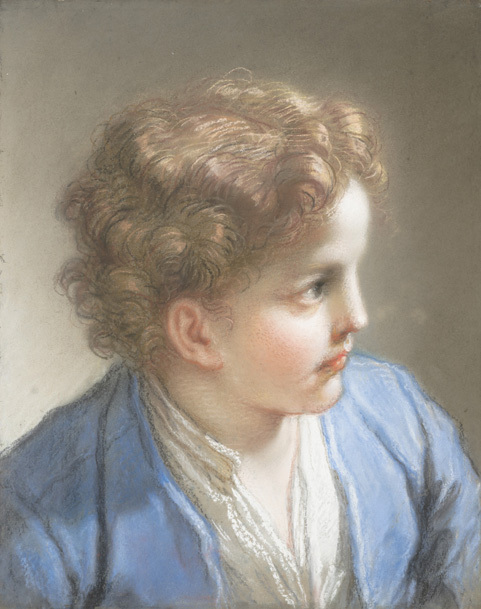 It was not until 1956 that we were bequeathed a pastel by Jean Pillement (1728–1808). Between 1961 and 1975 we acquired a small group of works by John Russell (1745–1806), and there the matter stood until 2002, when the Metropolitan bought a pastel by the Venetian artist Rosalba Carriera (1673–1757). Since then we have purchased nearly a dozen others by Italian, French, British, German, and Danish artists. Most are portraits, and they are exhibited here with two vivid seascapes by Pillement from a private collection. Pastels are made from powdery substances that are fragile and subject to fading. In accordance with modern museum practice, they are exhibited in very low light or rotated to ensure their long-term preservation. This display is therefore a temporary extension of the new installation in the adjoining galleries for European Old Master paintings. Leaving the European paintings, we rested a bit at a members lounge, then got our car and headed out the Midtown Tunnel to the Island. So much more to see. But we were content.